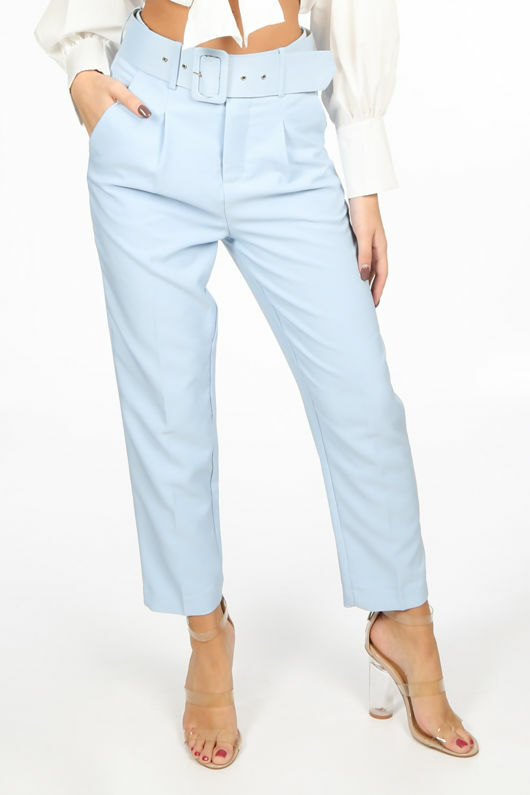 Tailored pieces like the Light Blue Belted Tailored Trouser are no longer just for the office. These tailored bottoms feature soft pleats, two side and two back pockets and they come with a matching buckle belt. Nail the tailoring trend and be the best dressed at work by tucking in a white shirt or dress these up for any occasion with a contrast lace bodysuit and heels.